Multiple research studies show that for work involving mental engagement financial incentives, especially large ones, actually reduce work performance. Read “Large Stakes and Big Mistakes”(download a PDF) by Dan Ariely, Uri Gneezy, George Loewenstein, and Nina Mazar for one study that includes experiments in India to check for cultural biases. Finally, “Pay-for-Performance Doesn’t Always Pay Off” by Harvard Business School Professor Michael Beer. Has corporate performance in real terms increased by 10 times over that period? Obviously not. Purpose – working on tasks that are greater than the individual or the company – something good for the greater whole. These three are at least a good, provocative starting place. The key is to start thinking about how your human resource management strategy is structuring work to respond to these needs and not simply throwing money at the problem of performance. We might close with a note that money does matter in one dimension. 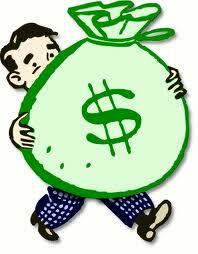 Employees need to feel that they are being compensated fairly. In order for non-financial intrinsic motivators to work, they need to know that they are not being ripped off. If you pay strategy puts your compensation significantly below the average for your type of work in your local area, you will very likely spend more time thinking about finding a new employer rather than how much autonomy, mastery or purpose is being fulfilled. Essentially you need to pay in a fashion that takes that issue off the table. This entry was posted in Effectiveness, High Performance Systems, People and tagged Dan Ariely, Dan Pink, employee, employees, human resources. human resources strategy, metrics, motivation, performance, TED Talk by Mark Orton. Bookmark the permalink.